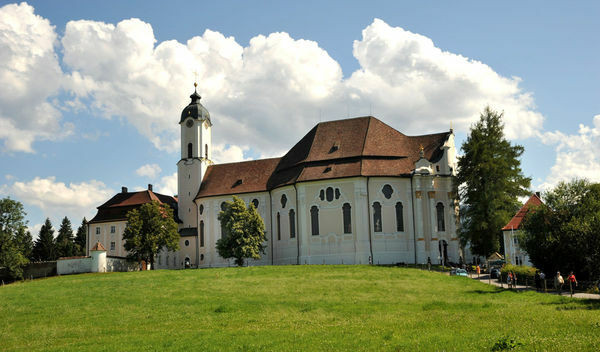 The Pilgrimage Church of Wies (Pilgrimage Church of the Scourged Saviour in the Meadow or in the Wies – called: “the Wies”) is a prominent pilgrimage church and a UNESCO World Heritage Site. 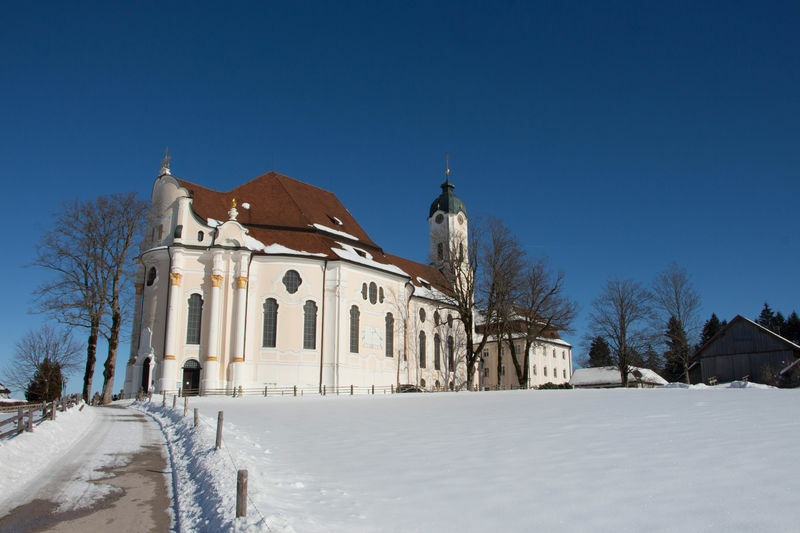 First time visitors to "the Wies" without prior knowledge may well ask themselves what could have given led to the building of such a remarkably magnificent church in such a secluded spot. On June 14th, 1738 the peasant woman Maria Lory saw tears in the eyes of a statue representing Jesus suffering on the cross. The miracle of these tears was the beginning of the pilgrimage to see the Scourged Saviour in the Meadow in Wies by Steingaden. 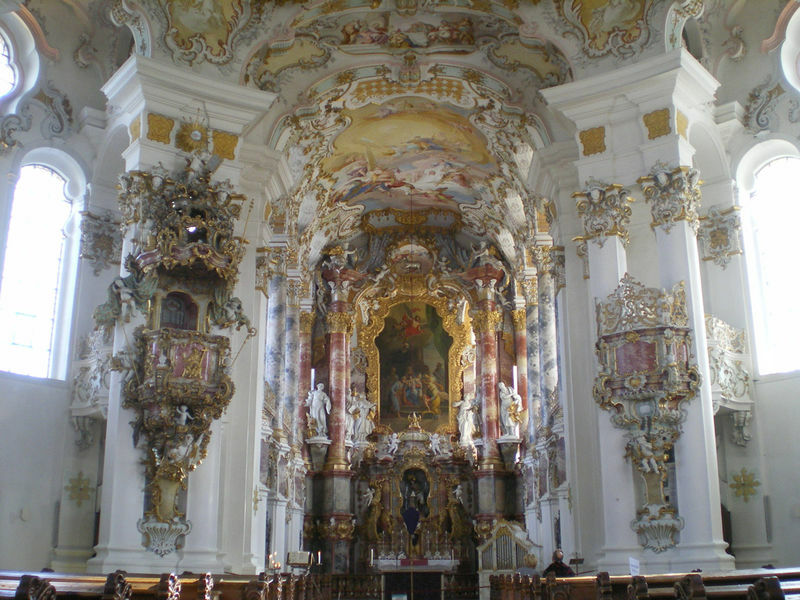 It led to the construction of a unique house of worship, built by Dominikus Zimmermann between 1745 and 1754 – Rococo in its ultimate perfection adorns the church. 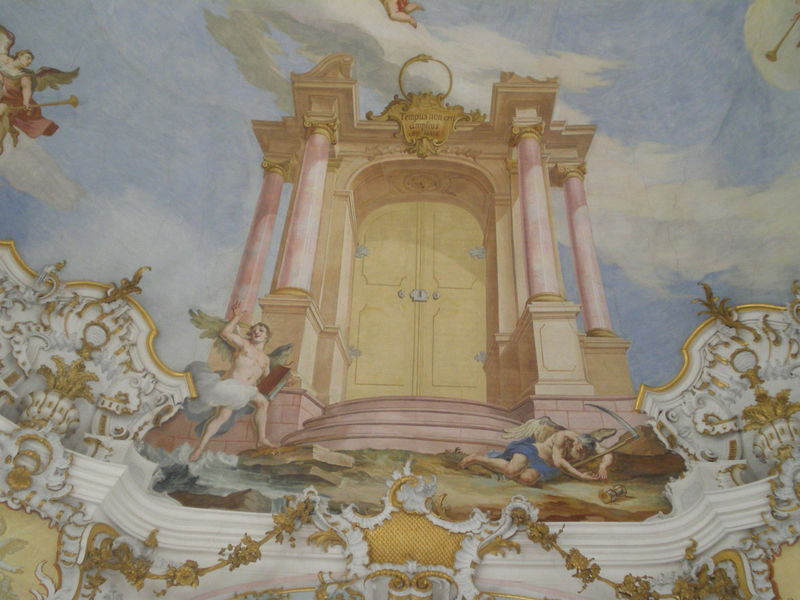 The Wies begs the visitor to behold, to marvel, to pray, to observe services, to attend concerts in the summer and last but not least the Wies asks visitors to take a moment of quiet reflection in order to find the Lord through the Scourged Saviour. Visitors who require the use of a wheelchair or are otherwise walking impaired may enter the church through the south entrance which has no steps. Visitors who require the use of a guide dog may enter with their guide dogs. 8:00 a.m. until 7:00 p.m.
Summer and winter opening hours coincide with the changing of daylight savings time. Admission to the church is free; however, donations in support of the church are always welcome and appreciated. Guided tours for groups only with advance notice: options are 10:00 am, 11:00 am, 2:30 pm or 3:30 pm provided no services are scheduled at that time.